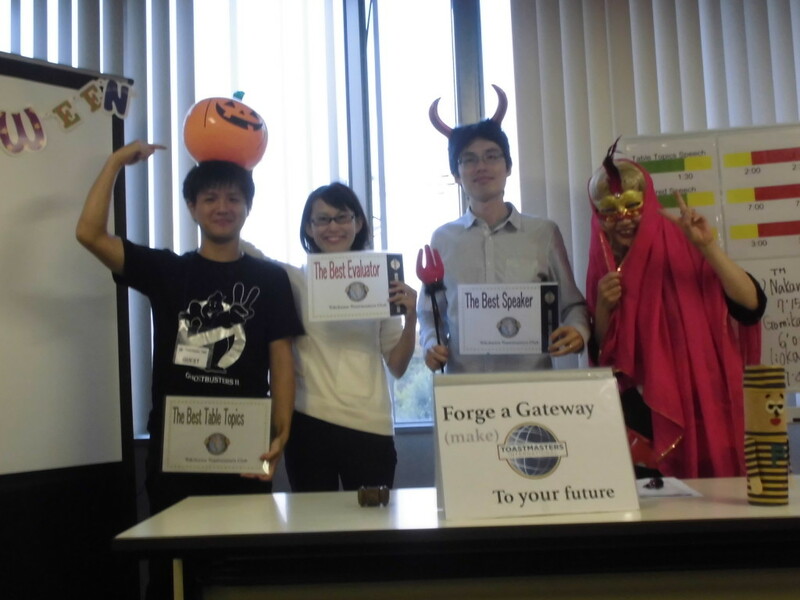 The 607th meeting was held on November 7th, 2015. 2 guests joined us and we had a lively meeting. The word of the day was “mitigate”. And table topic session was about “Santa Claus”. 4 questions were all unique and enjoyable. So we could “mitigate” our nervousness and relax! About 3 prepared speeches, all speakers were women! And the speeches had plenty of variety. Especially, TM M.N. made the 1st speech as a new member of YTMC. She introduced herself by a unique method, and got the prize “Best Speaker”. There was the special workshop about Division E Contest that was hosted by YTMC last month. We could get impressions and opinions about the contest from both a contestant and committee members. And it was useful for us to learn the importance of Toastmaster’s activities outside YTMC. As TMOD, I realized that the meeting was made up of much support from the members. And I’m very grateful to all the role takers, members, and the guests. 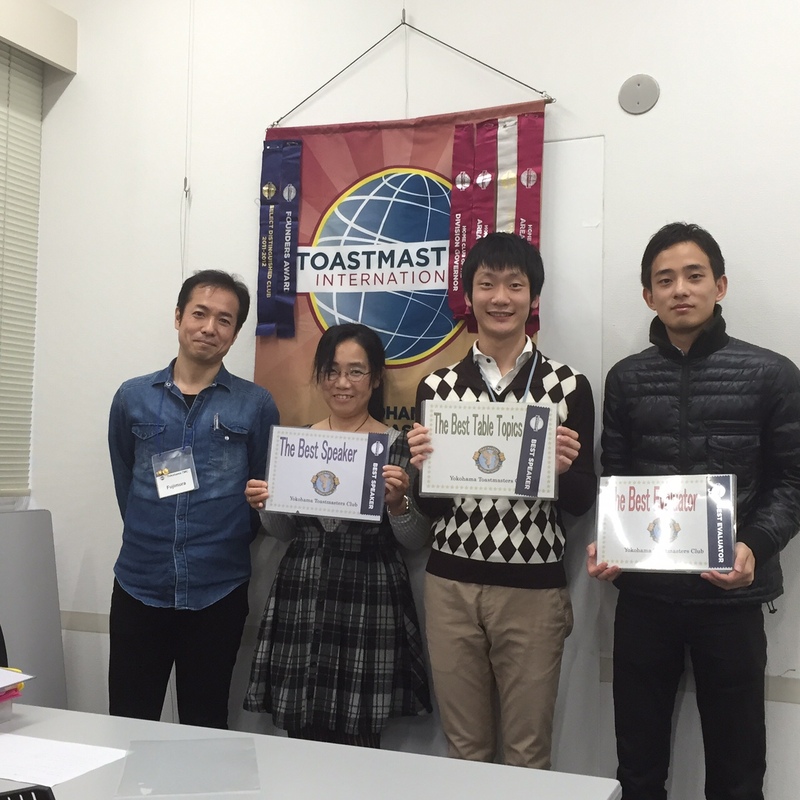 Next regular meeting will be held on Nov. 21st at Hatoba Kaikan.